Another year of Coachella is another year where I envy everybody there and this year, my envy was made even worse thanks to the snapchat feature over all of weekend. Although I love music and love the look of festivals, I can't really imagine myself ever going to one as I hate the idea of camping and sharing a bathroom with 100,000 other people however, I think I'd definitely make the exception for Coachella. I love to see what everyone is wearing at Coachella as its a lot hotter than festivals here in the UK and lets just say there was quite a bit of fringing going on. 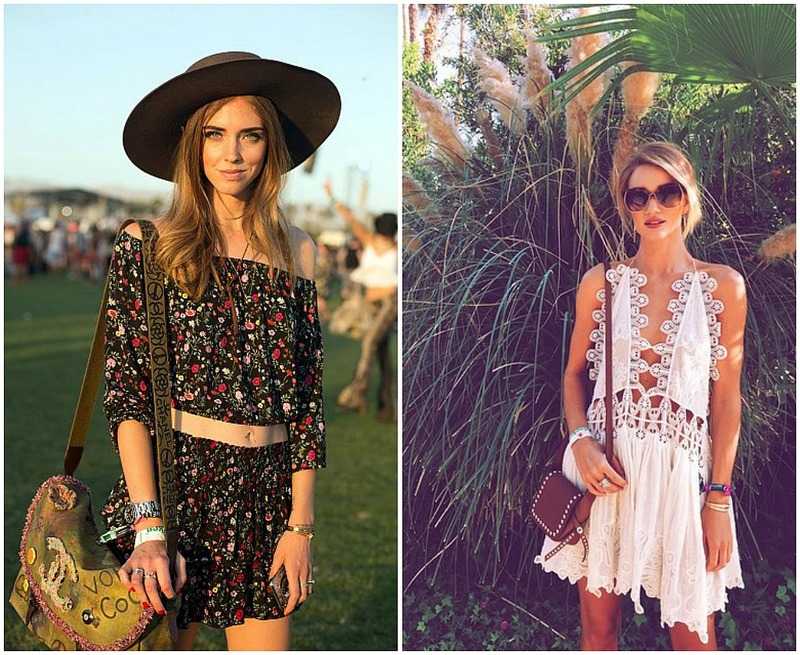 What was your favourite look from the first weekend of this years Coachella? Rosie is my favorite! Her outfit in your first picture is so classy and unexpected for coachella but how can you not just love both her outfits? !